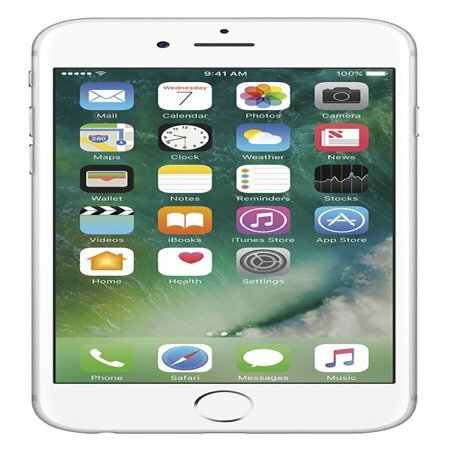 Apple iPhone 6s 64GB Unlocked GSM 4G LTE Dual-Core Phone w/ 12MP Camera - Silver (Refurbished) The moment you use iPhone 6s, you know you've never felt anything like it. With just a single press, 3D Touch lets you do more than ever. Live Photos brings your memories to life in a powerfully vivid way. And that's just the beginning. Take a deeper look at iPhone 6s, and you'll find innovation on every level. The seamless design is made from a new alloy of 7000 series aluminum - the same grade used in the aerospace industry. The 4.7-inch HD display has the strongest, most durable glass used in any smartphone. iOS9 is the most advanced, intelligent, and secure operating system in the world - an experience unlike any other, on a phone unlike any other. Customer service was outstanding. The first phone arrived exactly as described and expected, but I had a problem activating it on a small, relatively unknown MVNO carrier. I was able to exchange the phone for a different version of the iPhone 6s with prepaid return shipping and no hassles. The replacement phone works perfectly and is also in excellent condition. Very satisfied all around. Arrived as advertised: unlocked and ready to switch the old phone's SIM in -- carrier access worked without any issues (which is the hesitation with pre-owned phones). Charging cable, and block were included. No earbuds, but that's how refurbs go I guess. The phone couldn't have been in better condition. It looked absolutely brand new, arrived ahead of schedule, and operated as well as my iPhone 7 when it was brand new. Arrived a week before the time estimated, work with any telephone company. The battery run out faster than I wish but is really good for the price. The iPhone looks brand new. Full charge in a reasonable time. Arrived on the day promised. Extremely pleased.